When a wind turbine goes offline due to unplanned maintenance, the owner-operator can lose several thousand dollars each day. The most frequently cited culprit? At least one study has shown 23% of downtime is attributed to the pitch system. This is followed by the gearbox, frequency converter, and other culprits. “Research shows that pitch subsystem failures account for 23% of all downtime in wind turbines … more than any other turbine component or subsystem. … and pitch subsystems tallied the highest percentage of all component failures in wind turbines at more than 21%,” Prasad Padman said in a 2016 article in North American Clean Energy magazine. Roughly 50% of wind turbine failures are blamed on electric components and the pitch control system, but these failures have short downtimes. Gearbox and generator breakdowns happen less often but have longer downtimes. About 25% of wind turbine faults caused 95% of all downtime. 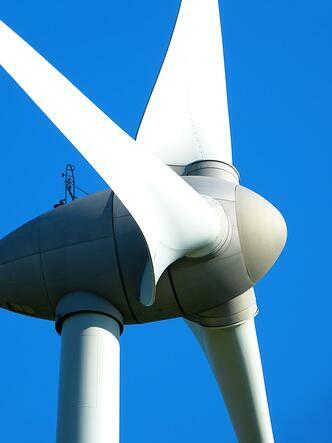 Wind turbine reliability has improved in recent years to 98% availability. But wind turbines still fail at least once annually, on average. Larger turbines fail more often than smaller ones. The average downtime is 1.6 hours for U.S. wind turbines. Turbines operating above 2.5 MW suffer higher pitch system failure rates than those operating below 2.5 MW. That 23% number has more to do with your interpretation of the numbers than it has to do with pitch actuator faults. In reality the actuator is often shutting down not because of its own shortcomings, but because of an issue elsewhere in the turbine. That’s why we recommend tapping into an underused resource -- the data the pitch actuator gives you. This analysis can be brought to the main control and remote SCADA (Supervisory Control and Data Acquisition) station. It will indeed show on the SCADA system “pitch fault” or “pitch warning.” But with the right data you can see what really happened and what’s the real suspect in your investigation. With the proper training, you can interpret the data and find out what needs to be corrected in the turbine before you head on-site. Then you can proactively access which parts and tools you need to bring. These failures can all be summed up in one sentence: It’s often not the pitch system failing; it’s actually the system doing its job. There’s a large amount of historical data and comparison out there that can help you determine why a fault occurs and how best to fix it. Where’s this data? Right in your Windurance system. A high-functioning wind farm needs advanced pitch actuator support capable of interpreting fault and warning conditions so you can properly ID issues and take corrective action. Hub shifting and deforming where the blades are mounted? This all happens without needing the main turbine controller built in. Windurance puts that knowledge right in the pitch actuator! What Is a Failure? And What’s the Solution? First you have to agree what a failure is. Did a pitch system fail, or was it due to a fault somewhere else? Was is due to a low battery? Was it due to a consumable part like a motor or bearing consuming its useful life? All of that will fault the wind turbine system, but it's not necessarily because the pitch system stinks. It's actually shows more of a success. Improving turbine reliability can significantly reduce operations & maintenance cost and in turn increase the cost value of your energy production. And a Windurance pitch actuator makes that happen through reliable build, data monitoring, and more. What could possibly improve your wind farm’s availability and profitability more than a pitch system that only breaks down once every 13,000 hours?